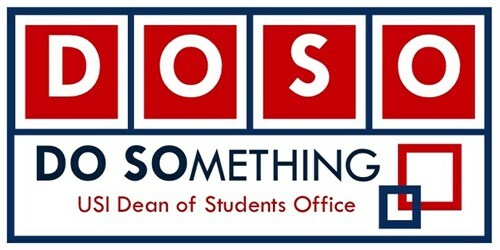 Welcome to the University of Southern Indiana (USI) and the Dean of Students Office (DOSO). We appreciate you taking the time to visit our website and hope you are able to identify resources that will assist you as a member of our educational community. The website will introduce our staff along with other important offices and programs on campus. It is filled with helpful information about available services and resources, opportunities for involvement, and important campus policies. We want you to be successful during your time at USI and reach your education and personal goals. If you need assistance and do not know where to go, please come to the Dean of Students Office so we can connect you to any campus resources you might need. Through our Campus Action Response and Engagement (CARE) Team, the Dean of Students Office makes sure students have the proactive assistance and support they need by assessing, evaluating and responding to reports about students who present in crisis or show concerning behavior and may need support to manage their academic and social experience at the University. Anyone can fill out a CARE Team report by using the "Concerned about a student" button on the Dean of Students Office website. Our office is located on the first floor of the University Center East, room 1229. We look forward to meeting you soon!